It's officially my favorite time of the year! I pretty much live for September-December, but especially the time that it is now. That moment that it isn't just autumn by name, but by feel. It's slightly overcast, there's a cool and crisp breeze in the air, and the leaves have changed and are starting to fall. Fall will never not be my favorite season. It's perfection. And all of the holidays make it that much better. Give me fall and early winter any day. I'm here for it! Fall is also my favorite time for beauty and fashion. The dark colors and layers? Yes, please! All things cozy and comfortable? Heck yes! 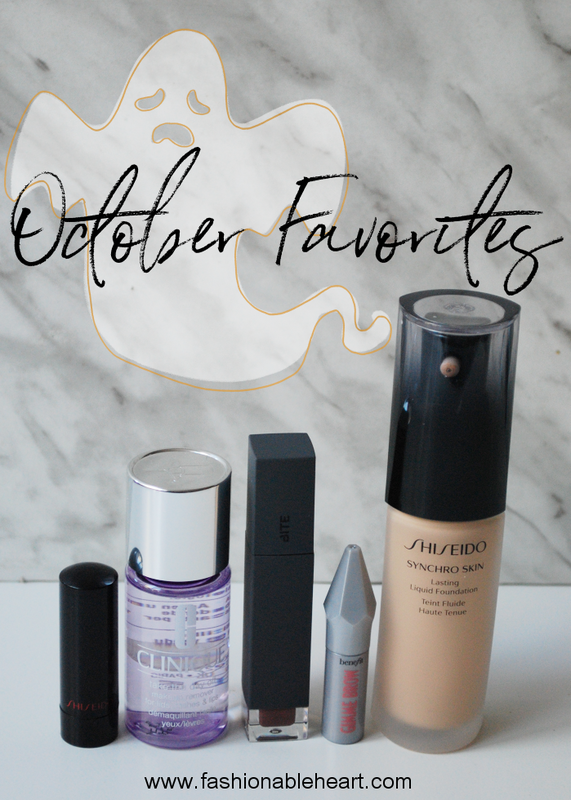 Here are some of my recent favorites that are making me just as happy as my favorite season. Let me know what you have been loving this season! Shiseido Rouge Rouge Lipstick in Ruby Copper - Such a great red. If you're looking for a red that isn't super in-your-face and bright, I think this is a good one to look at. Clinique Take the Day Off Makeup Remover - Super gentle on my sensitive skin. The balm is also nice! Bite Beauty Liquified Lipstick in Demi-Glace - I said I'd probably like this one more in the fall and I was right! Benefit Gimme Brow - Benefit gets brows. I'm impressed with this sample I received. It does a good job at filling in my sparse areas. 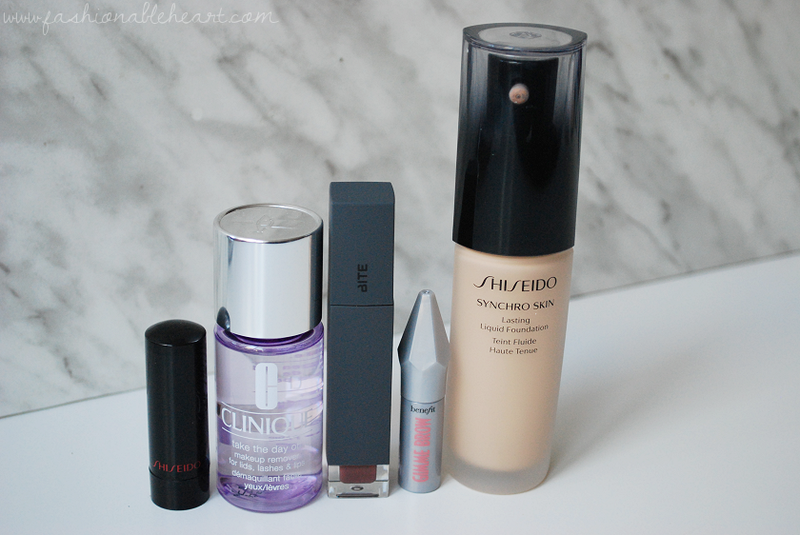 Shiseido Synchro Skin Lasting Liquid Foundation - It's hard for me to find a liquid foundation with my dry skin, but this one has been really great. It does not look caked on and looks very natural.